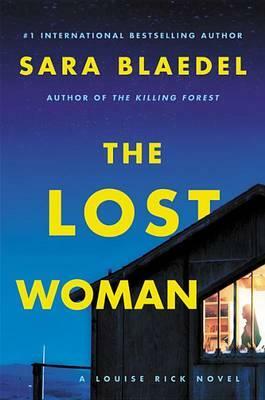 Following the incredible success of Sara Blaedel's #1 international bestsellers The Forgotten Girls and The Killing Forest, Louise Rick--head of the police department's elite Special Search Agency charged with missing persons cases--returns in Sara's latest twist-filled suspense novel... A housewife is the target of a shocking, methodical killing. Shot with a hunting rifle through her kitchen window, the woman is dead before she hits the ground. Though murdered in England, it turns out that the woman, Sofie Parker, is actually a Danish citizen who's been on the Missing Persons list for almost two decades--so Louise Rick is called on to the case. Then, in an unexpected twist, the police discover that Sofie had been reported missing eighteen years ago by none other than Eik, Louise Rick's police colleague and lover. Impulsive as ever, Eik rushes to England, and ends up in jail on suspicion of Sofie's murder. Completely blindsided by Eik's connection to the case, Louise is thoroughly unsettled and sick with worry, yet she must set aside her own emotional turmoil if she hopes to find the killer in what will become her most controversial case yet... "Crime-writer superstar Sara Blaedel's great skill is in weaving a heartbreaking social history into an edge-of-your-chair thriller while at the same time creating a detective who's as emotionally rich and real as a close friend." --Oprah.com "One of the best I've come across." --Michael Connelly "Sara Blaedel is a force to be reckoned with. She's a remarkable crime writer who time and again delivers a solid, engaging story that any reader in the world can enjoy."